iPhone 4s has an amazing camera! Down the hall on the right you can see the “Ann Brooks” shingle hanging over my studio door. Hope you’ll come visit. 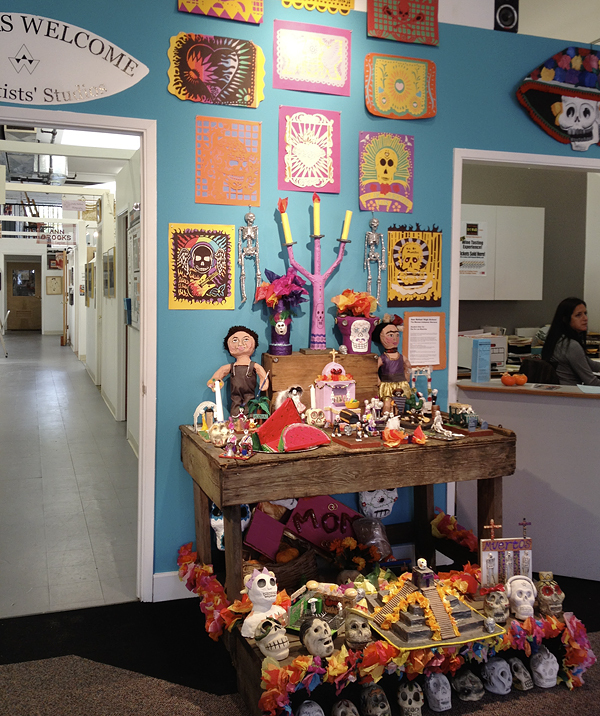 I just posted a story about Art Works Downtown’s Dia de los Muertos gallery exhibition. I took all the photos with my new iPhone 4S camera. Absolutely amazing camera – though also a phone. In any case I’m loving having it with me everywhere I go. It’s gotten me back into photography. You can see the story and all the iPhone 4S photos on my other blog, Ann Brooks Studio which I’ve usually thought of as my jewelry blog. Finally, looks like almost all the building permits are in and construction of Odalisque Café is about to get underway. This is how it looked when the Chinese restaurant that had been there for years, left and the space was gutted to the bare brick walls. I’ve always loved this picture, so untypical of my work. 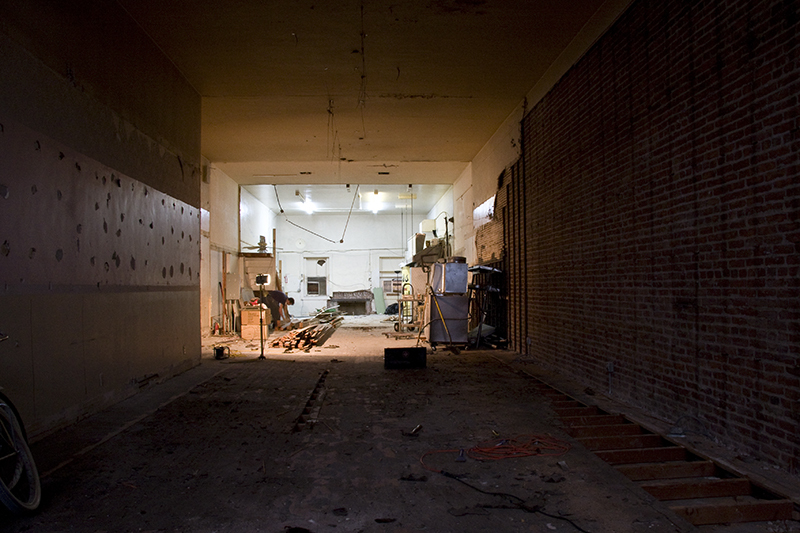 Look for the opening of Odalisque Café, in the Art Works Downtown building on Fourth Street, San Rafael early in 2011. It will be a wonderful addition to the arts community and to all of Marin. More info on the Odalisque Café website. To my surprise, I’m doing jewelry photography! Before I got into serious photography I was a jeweler and always depended on a professional, Hap Sakwa, to photograph my nationally reputed fine art jewelry. I had very high standards, not only for my jewelry, but for the photography that represented it. Here are examples of Hap’s photography and my earlier jewelry. By last summer, and for the last five years I’d been solely a photographer. In August I was puzzling over what to do with a substantial stash of beads I still had. Maybe sell them.? To whom? Then I had a better idea. Use them to make jewelry and sell it to get a return on the beads. Beaded jewelry was a come-down after having been a fine art jeweler. For physical reasons I couldn’t do that any more, so hey, why not have fun doing beaded jewelry? And in addition to my studio at Art Works Downtown, why not sell it online? 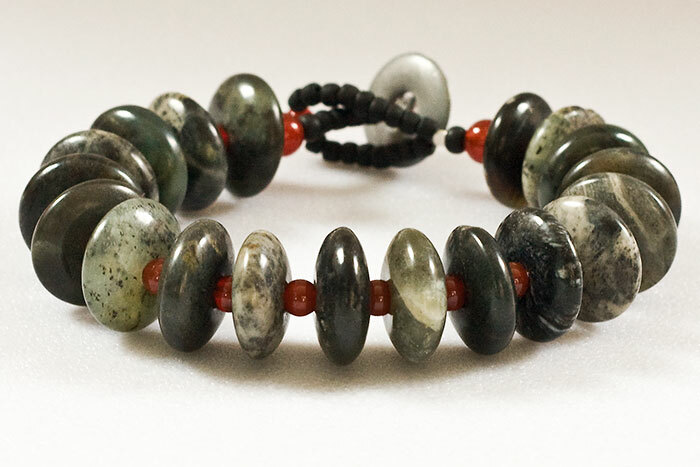 So, I’ve been having a great time designing and making beaded jewelry. Then I had to face the challenge of how to do my own jewelry photography. Sure, I’m a photographer, have a good camera but jewelry photography is a real speciality, needing equipment, lighting conditions and experience. Research on the web brought me to these great videos by NYC photographer, Michael Seto on how to photograph jewelry. I adapted some of Michael’s ideas to my own situation, determined not to use traditional lighting, but the diffused natural light coming through the bay windows in my living room. Teaching myself the ropes of jewelry photography has been a steep learning curve and I’m still learning. So far, I’ve learned a lot about using my Canon 40D that I didn’t know before and a some new things about using available light. 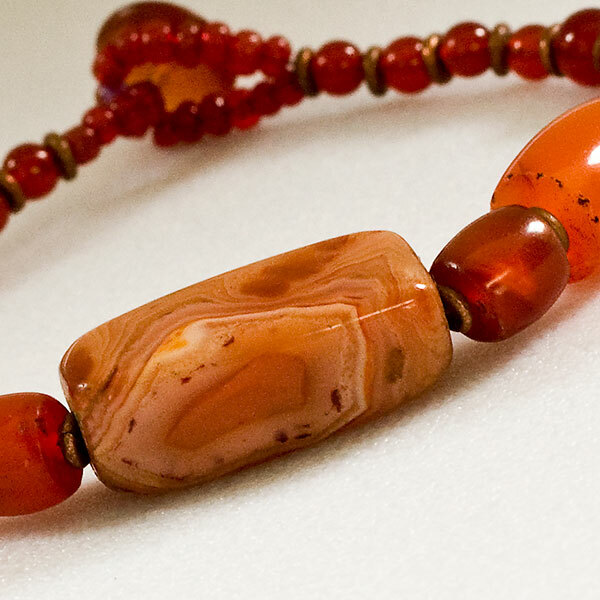 Though you can see lots of my jewelry photos here on my zibbet.com shop pages, here are a few examples.